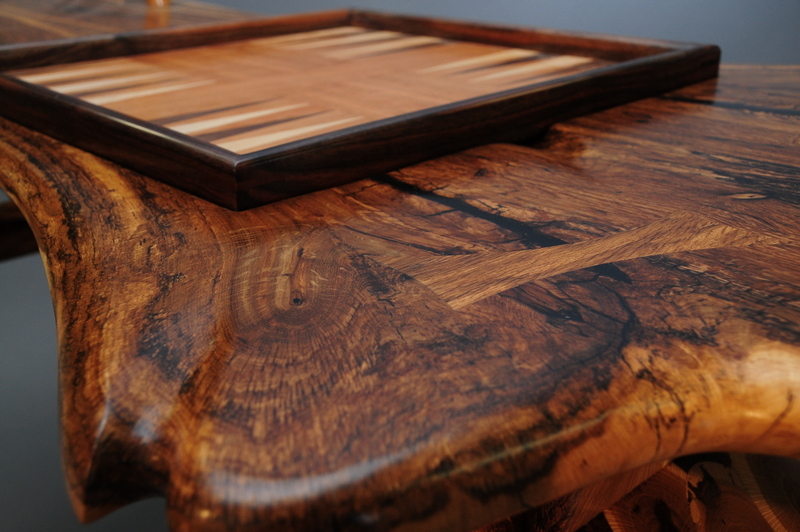 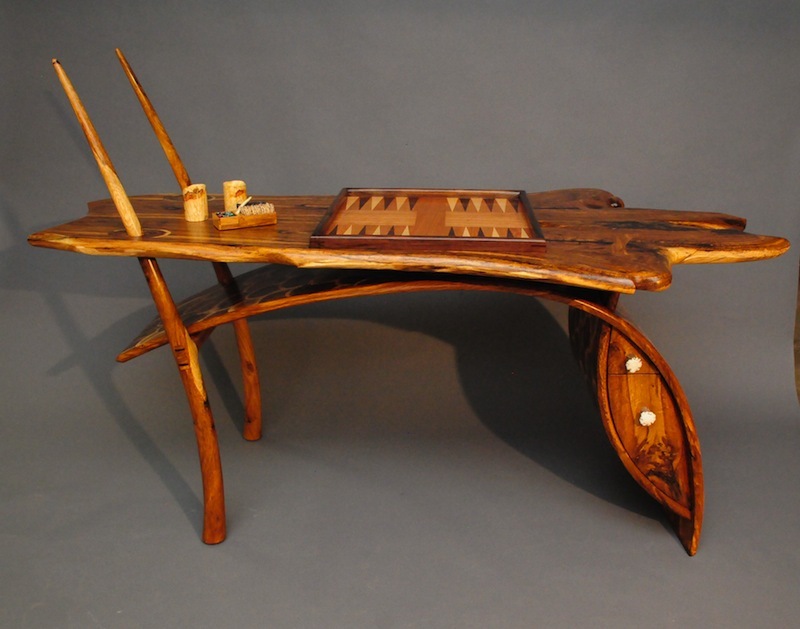 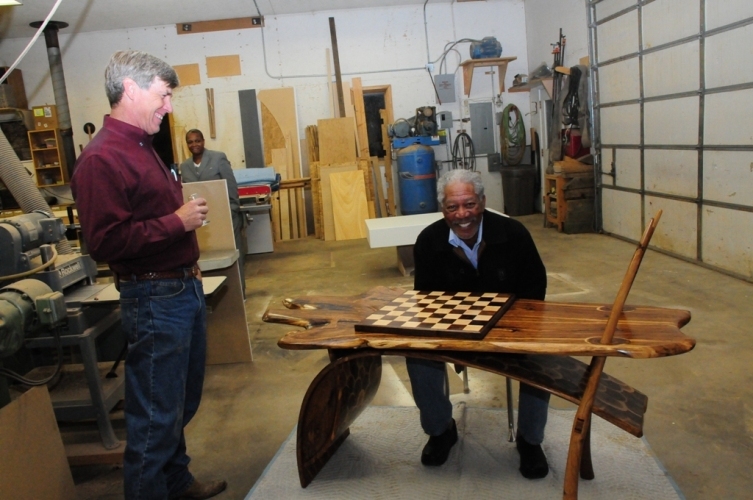 Game Table - "Game On"
The top is a book-matched slab with a felted recess to contain the game boards - backgammon and chess. 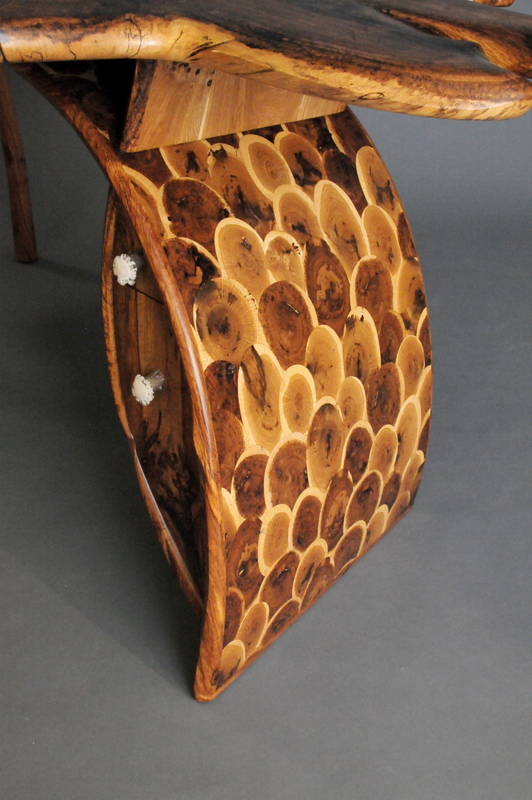 Supporting the top is an oyster veneered arch and two legs which pierce the top. 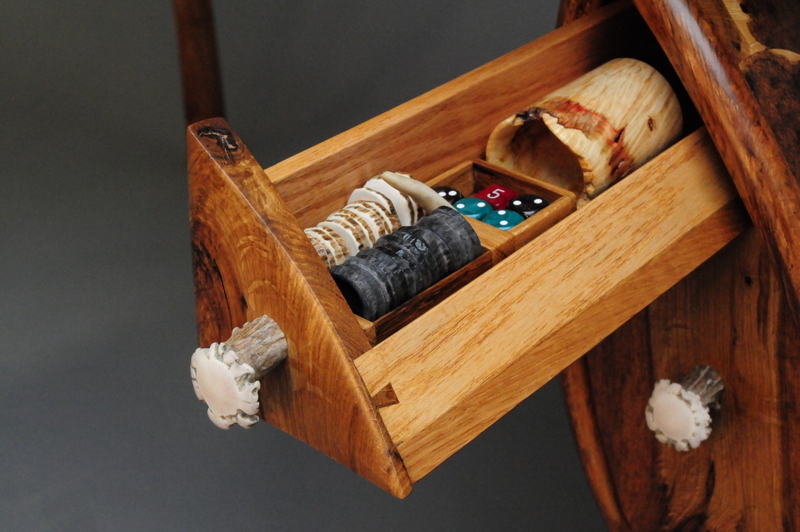 The drawers below hold the chess pieces, backgammon chips and dice shakers. 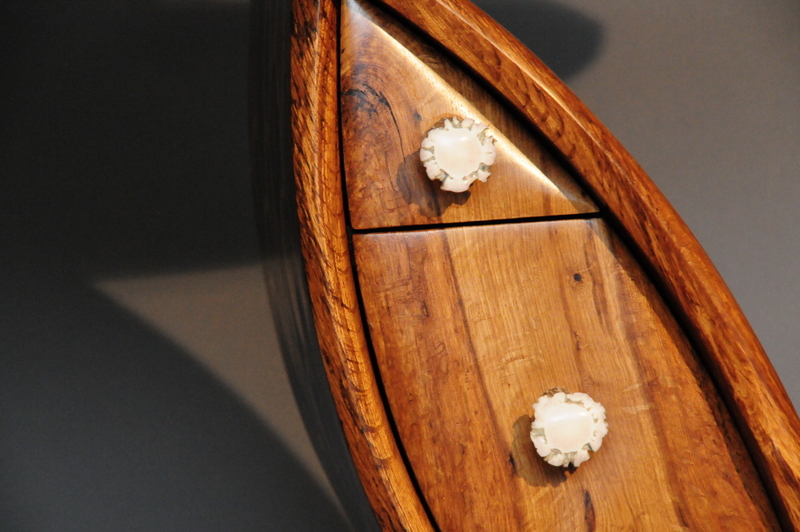 The knobs are made of polished white tailed antler bases.